THE African Union Commission (AUC) and SADC Secretariat conducted a Joint Technical Assessment Mission of SADC Preventive Mission in the Kingdom of Lesotho (SAPMIL) from 05 to 09 February 2018. 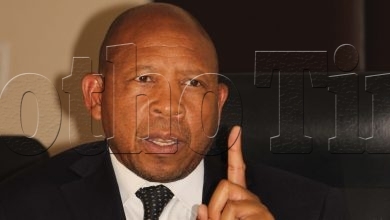 THE call by the Lesotho Defence Force (LDF) for the extension of the tour of duty of the SADC Standby Force should not come as a surprise to anyone who has a keen interest in the affairs of our country. The call is welcome because the objectives over which the force was deployed have not yet been attained. It seems like the force only landed yesterday. 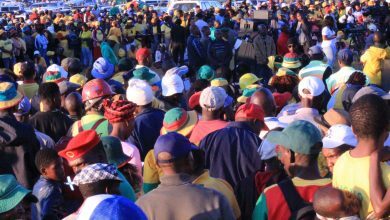 Yet the force also known as the SADC Preventive Mission in Lesotho (SAPMIL) was formally unveiled in Maseru on 2 December 2017. 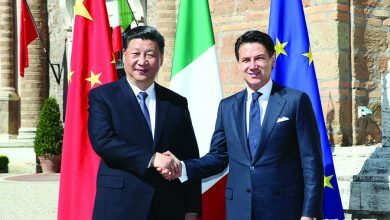 This was against the backdrop of high expectations that the regional force would help stabilise the political and security situation in our beautiful but troubled Mountain Kingdom which had endured prolonged instability, threatening to forever derail any prospects of peace and economic development. In the short period from 2014 to 2017, we had the dubious distinction of witnessing an attempted coup by soldiers under the command of Tlali Kamoli, the assassination of two army commanders in 2015 and again in 2017. We also witnessed unbridled blood-letting as police officers and ordinary civilians were murdered with some bodies being dumped in the watery graves of the Mohale Dam. 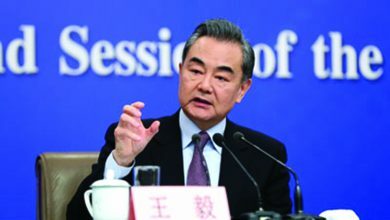 The country was also crying out for a broad spectrum of politico-economic-governance and military reforms to ensure lasting peace and stability without which economic progress cannot be achieved. It was against this background that the SAPMIL was deployed to the country. Among other things, the stated objectives of the SAPMIL is to assist the LDF in managing the security crisis in the country in the aftermath of the 5 September 2017 assassination of army commander, Lieutenant General Khoantle Motšomotšo, by his subordinates; Brigadier Bulane Sechele and Colonel Tefo Hashatsi. Another of the main objectives of the SADC deployment is to “assist in isolating renegade elements within the LDF”. The SAPMIL also has a mandate to support Lesotho in retraining its army personnel, especially in the area of civil-military relations while working towards security sector and other institutional reforms. Time flies and it is already five months since SAPMIL was deployed on a six months mission to Lesotho. But anyone would agree that although the situation is apparently peaceful in the country this is only down to the presence of SAPMIL. Any premature withdrawal of the SADC force would embolden those “renegade elements” to once again plunge the country into instability. As the Ministry of Defence and National Security Principal Secretary, Retired Colonel Tanki Mothae, explains elsewhere in this edition, the country still needs the SAPMIL because there is still a lot of work to be accomplished. 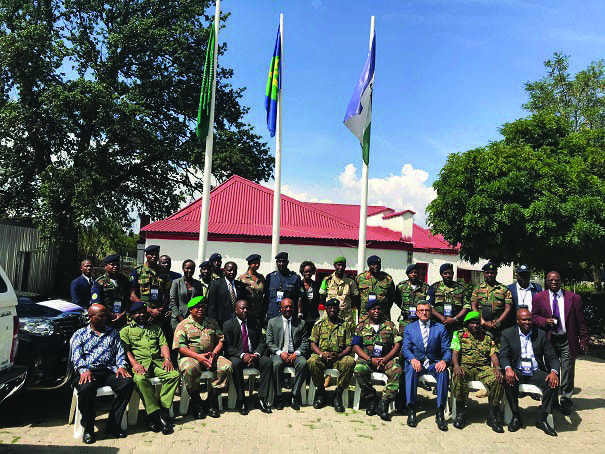 SAPMIL has done commendable work with the Lesotho Mounted Police Service (LMPS) which include forensic training and further training in the area of relations with civilians. However, the SAPMIL appears to be only beginning its work with the LDF. As Rtd Col Mothae explains, the delay was down to the fact that the LDF had to first put its house in order. “There are so many things that needed to be done by the LDF before thinking of engaging in the reforms agenda. The army had to first of all collaborate with the police and normalise relations between the LDF and LMPS to ensure smooth working relations,” Rtd Col Mothae tells this publication. He also says it is his hope that the government will ask SADC for an extension of SAMPIL’s tour of duty for it to help the army to fulfil its objectives. We fully support any moves that would help this country achieve lasting peace and stability. If it means that the force’s stay is extended then so be it. It is more important to accomplish a mission than to be slaves of timelines and abort a mission only because it is taking longer than expected. SAMPIL has done an excellent job since its arrival in fostering peace and stability in the country. Its mere presence here has got a substantial deterrence effect. But no one can predict what lies below that veneer of peace and tranquility. The rogues are still out there. Some are licking their wounds in remand prison. It would be inappropriate for the SADC force to leave before all the LDF rogues who committed so many atrocities alongside their political masters, who encouraged these atrocities by doing nothing to curb them, are held accountable for their vile actions. The strangers lie in wait for the spoils.